Thank you for your interest in becoming part of our DerpyCon Staff! Staff work year-round to help make the convention fun! …and more! See the Staff Perks page for more details! Staff Rules – DerpyCon’s Staff Rules and Regulations. Staff Positions – A list of DerpyCon’s Staff positions and their responsibilities. Staff FAQ – Staff Frequently Asked Questions. Got all of that? Apply today with our Staff Application! You will be able to select whether you would like to apply for a general position or a leadership role. Have other questions? 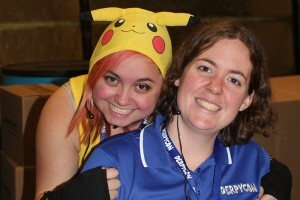 Reach out to our staff services department on the DerpyCon Helpdesk by clicking here.